We bring the guru to you! Reflexology is a relaxing and rejuvenating wellness treatment that uses specialized compression techniques applied to reflex points on the feet, hands, ears and face. These points relate to certain parts, organs and glands of the body which when stimulated, trigger that part of the body and help restore balance, reduce stress, relieve tension and promote self healing. Reflexology is not a medical treatment and does not treat, diagnose or prescribe for specific diseases but does aid your body in it's capacity to self heal. Once we understand that most "dis-ease" is caused by stress, appreciating the benefits of reflexology in helping manage physical, emotional and mental health becomes clear. Foot Guru Reflexology provides foot reflexology sessions in the comfort of your own space, including home sessions, the office and special events/parties such as birthdays & baby showers. ​We bring everything needed to create a relaxing treatment - zero gravity reclining chair, pillows, towels & blanket. Just sit back and enjoy! Try an AromaReflex Treatment and experience the physical, mental & emotional benefits of doTERRA essential oils during your session! Curious to learn more about using Essential Oils to support your family's health issues naturally and effectively while helping you lead a toxin free lifestyle? Contact me to book a FREE Wellness Consult. ​Are you covered? Suzanne is a Certified Foot Reflexologist and an Approved Practitioner under Manulife, Green Shield Canada & SSQ Financial. Please check your benefits to see if you have reflexology coverage. Escape the kids for an hour or just catch up on some "me time" without the annoying drive, traffic & parking! Increase productivity, lift morale or treat your employees at the staff appreciation with mini-sessions! Add some unique fun and relaxation to your special event with mini sessions for your whole crew! "Suzanne is extremely knowledgeable and understanding. I found our reflexology sessions to be stress relieving and very beneficial with regards to my issues with low back pain. Highly recommended." "This was me today; totally soaking things in, breastfeeding while having an in-home foot reflexology!! #momlife Not having known much about reflexology before, one session in and I'm sold! What a restful, luxurious and refreshing time for this new mama. Suzanne (a mama herself) made the whole experience so amazing! I honestly felt like I could be in a spa in my own home - I almost fell asleep! If you've never tried it, what are you waiting for?!?" "Thank you Suzanne. You have a gift! That was amazing. Even more relaxing than a body massage. Looking forward to the next time already." 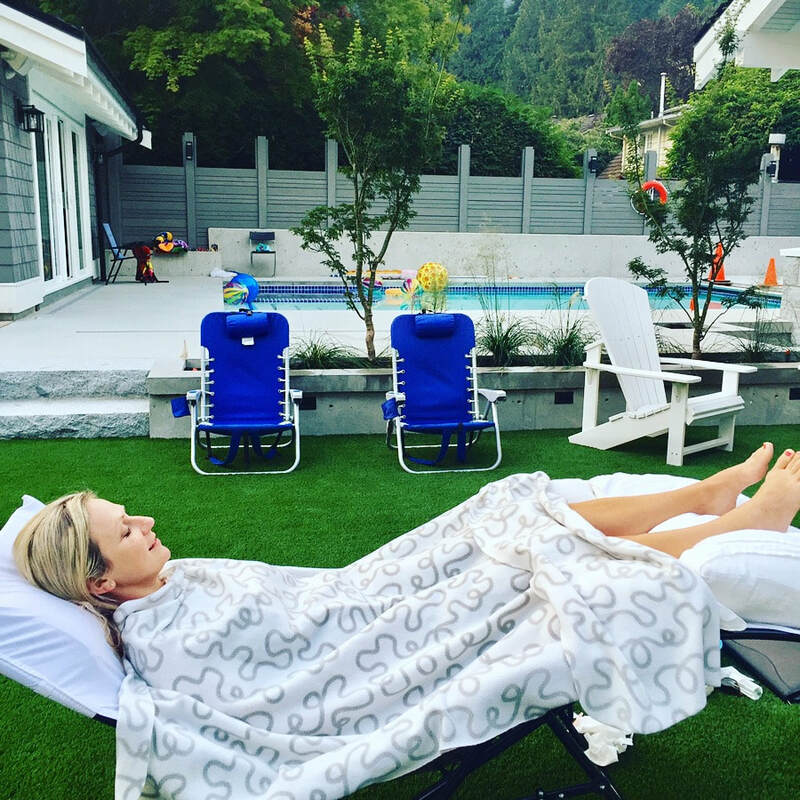 Suzanne Chilton is a mobile Certified Foot Reflexologist and an Approved Practitioner member of the Reflexology Association Of BC (RABC), having trained with Helga Petersen at the HCP Reflexology Institute in Langley, BC. 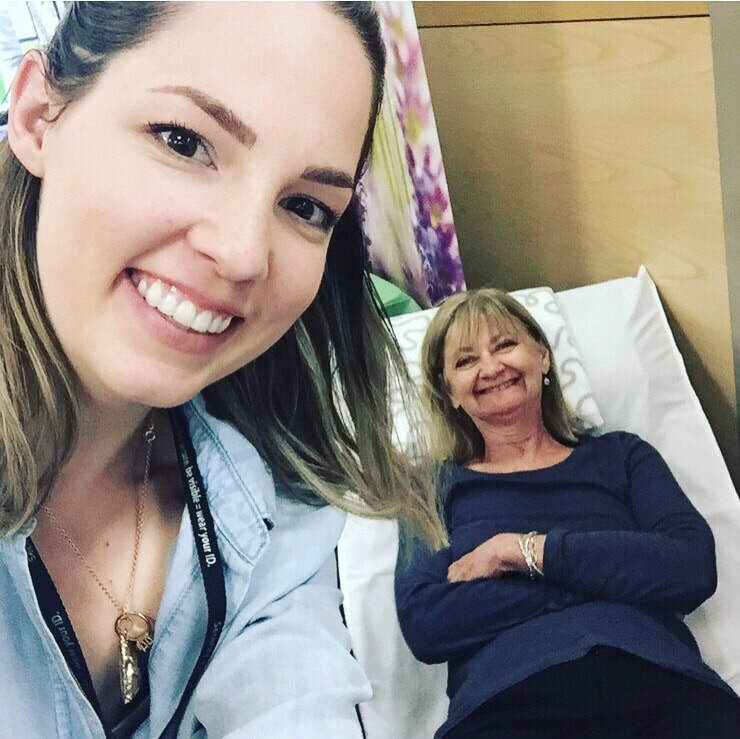 She is also a passionate Wellness Advocate with doTERRA Canada, using Certified Pure Therapeutic Grade essential oils and natural health products to support her clients' health journeys. ​With her previous experience as a professional artist, Suzanne combines her sensitivity, intuition and energy work with the science of reflexology & essential oils to create a holistic treatment for every client. Suzanne is excited to be able to bring these ancient forms of natural healing to her clients in the comfort of their own space. Join our Newsletter and be the first to hear about Promotions, Special Events & Workshops! CANCELLATION POLICY - Please allow at least 24h notice to change or cancel an appointment. Cancelling within 24h is subject to a 50% fee of the service. A last minute cancellation is subject to 100% of the fee of the service. © 2019 Foot Guru Reflexology. All rights reserved.